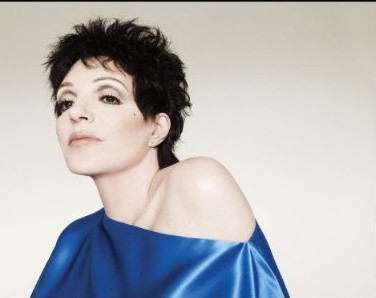 Liza Minnelli - her very name conjures up legendary images, and legendary moments are Liza’s focus in her current concerts featuring a winning combination of career highlights and favourite songs. Having studied many aspects of performance – dance, singing, theatre, from the age of sixteen with the intention of electrifying Broadway, you could say that Liza has achieved all she’s ever dreamed of. But in the context of this concert, it was her unique way of getting inside a song, feeling every word, and sending its’ emotion and meaning back to the audience that fulfilled their dreams. I was told the show would start at 8pm, but the lights were already out when I got to the end of my row at 7:50pm, ticket in hand, so I gingerly climbed over fifteen plus people in search of my seat, which, I finally discovered with the light of a helpful man’s mobile, was a lovely one, just nine rows from stage left! From that vantage point, I had a great perspective of the entire venue, from audience to stage and big screens above, and back again. A spirited American jazz band on stage, fronted by a sax player, engaged in between song banter before launching into a much sultrier than usual, sax lead, sing along version of The Jacksons’ hit ’ ‘I’ll Be There,’ which, their smiling band-leader claimed was the ‘first record he’d ever bought.’ It made a nice prelude for what was to come…. As Liza was good naturedly patting her throat, a tall bald man walked up from the audience and handed her a big bouquet of red roses, with a large white envelope peeping from it. ‘Spiffy’ she quipped, showing the flowers to the audience on all sides before putting them on top of the piano. It was just the first of many offerings; by the show’s end, the stage front was awash with flowers. ‘I Am My Own Best Friend,’ the one song from Chicago that wasn’t in the movie, offered Liza a chance to act for the audience. After recalling her days in the original Broadway production circa ’77, as a stand-in for ailing Gwen Verdon, she set the scene in the context of a woman about to be tried for murder right after the first female ever to be executed had been hung. Then, amazingly for the setting, she effectively re-enacted the fear and entrapment of the scene, which, in true trooper fashion, gradually turns to one of gritty determination. The scene unexpectedly showcased Liza’s comedic skills when a pregnant pause, intentionally inserted after she stated that the scene took place, ‘after Roxy Hart murdered her husband,’ was quickly filled with loud, spontaneous laughter. After which, she upped the ante, saying, ‘I’m trying to get some water and make it look like it’s not important,’ sipping hurriedly from a cup atop the piano. Artfully steering us, she then spoke, very passionately, of a time, not that long ago, when you could ‘be arrested, have your passport confiscated, jailed and beaten up, just for being yourself.’ Then, Liza transported us once again, via an evocative performance of Charles Aznavour’s amazing 35 year old song, ‘What Makes a Man a Man,’ detailing the life of a lonely impersonator who goes home alone at the end of his show, enabling us to feel his pain. As she sadly sang the words, ‘my masquerade comes to an end...and I’m alone and friendless,’ time seemed to stand still. In the midst of this emotionally charged moment, Liza, being the great show woman she is, settled into a long legged black deck chair and gave her all to the first song ever ‘written for her’ by Kander and Ebb – ‘Maybe This Time’ from Cabaret, packing it with passion and life, dissolving the house to cheers. It seemed too good to be true when she belted out her next signature number ‘Cabaret’, which the crowd remained standing for, clapping along to, smiles all round, especially when she lapsed into a Cockney accent in the guise of dear, departed Elsie. The crowd noted and, cheered the fierceness with which she sang the line, ‘When I go, I’m NOT goin’ like Elsie’ (with all her pills and liquor) too! That ambivalent, witty little ditty, ‘Confession’, beginning with the line, ‘I never kissed a man before’, from Liza’s latest CD Confessions, which came out last year, coaxed that once in a while, at least, vice might be ‘its own reward… . 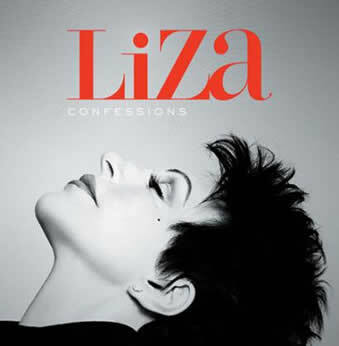 From what Liza has said, and what I’ve heard of it thus far, Confessions is an album of songs which are very close to her heart, recorded with her singing, with only piano as accompaniment. One of Peggy Lee’s signature songs, ‘He’s a Tramp’, also on Confessions, made a happy go lucky change of pace relating to a topic touched on in many a torch song, wryly resigned to here, with Liza energetically bumping and grinding her way across the stage. None of her concerts would be complete without Liza playing on our heart-strings and ‘All My Tomorrows’ with its’ wistful yearning, inspired not just pangs, but chills. Memories of her late mother, Judy Garland, putting her head back as she sang, as if reaching into a very private, emotional place sprang to mind...‘On Such a Night as This’ from A Little Night Music never seemed more lovely than it did through Liza’s heart-felt rendering of it, shot through with the mysteries of twilight and the nocturnal promise they bring. I haven’t been fortunate enough to meet Liza personally, (yet…) but from the fiery way she sang ‘And the World Goes Round’ it seemed like she was telling me the story of her life, giving me a little kick in the process, to encourage me to keep on going, come what may. After a soul-searching ballad what better place to head than ‘New York, New York?, which Liza claimed ‘Uncle Frank’ dedicated to ‘his baby, Liza Minnelli’ every time he sang it live. We sang it too, with all our might, because we wanted to be in synch with wonderful, hold nothing back/always give it your all, Liza Minnelli! Although we never wanted her to leave us, we knew the moment was neigh when Liza told us she was about to sing a song, dedicated to us, her ‘family’ and went into an absolutely heart-wrenching version of ‘Every Time We Say Goodbye’…’I Cry a Little’…Me too Liza, me too, the audience seemed to be thinking, many sitting openly transfixed, their faces rapt with respect and admiration for her. When the band had departed amid cheers, and the roar of the crowd had died down to a mummer, Liza, our Liza, returned, offering us an emotional a’capella version of the seminal U.S. WWII classic ‘I’ll Be Seeing You’. Which, made us all allies, especially when, after missing a high note, she casually said, ‘F***, inspiring laughter of recognition coupled with instant forgiveness. Regrouping, she went into a lower register, finishing the song beautifully, her appreciative fans hanging on her every word. I’ve been to a lot of concerts in my time, and seen some of the greats, but I’ve never seen an audience send more love over the footlights than they do for Liza Minnelli. The only thing I’ve witnessed that even came close was an outdoor concert in Philly the late Duke Ellington gave two months before he died in 1973. Though, Duke hardly seemed to notice the adulation of his fans, as admittedly, ‘music was his mistress.’ But to be at one of Liza’s concerts is to personally engage with a bona fide star, through cheers, intermittent cries of ‘I love you,’ which she always responds to in kind, waves and collective joy. I know Liza would forgive me for saying this show was a kind of ‘love-in’ , i.e. a real happening – one of those rare occasions when you feel you’re in the very best place to be at that particular moment in time. Reasons for that may be manifold, but to put it simply - Liza cares, about the quality of her performance and, her audience, and that’s understood instantly. I’m a firm believer in the maxim that to see Liza is to love her, and the countless impromptu standing ovations at this show - before, during and after songs bore that out. To say the atmosphere was electric would sell it short – it was positively magnetised, glowing with the energy only love can give, with the audience being willingly pulled into the light of Liza’s inestimable warmth and talent. There’s no show-stopper like a tried and true one, and Liza Minnelli fits that bill, for she interprets a song by putting every ounce of herself into it, always garnering cheers, and, love for her efforts. I’ve only got one more thing to add here– Liza, no matter how many knee, hip and/or spouse replacements we’ve collectively had between us, you’ll always be irreplaceable to me, and countless other loving fans, around the world!